Color printers for labels | Ardpol sp.j. VP700 is a professional, exceptionally fast, ink-based label printer, which is a novelty on the Polish market. The device is designed for versatile applications, it is particularly well suited for printing variable high-quality inputs, colored labels. The VP700 is the most modern device of this type. VIPColor designers have improved the license device by adding an integrated unwinder that allows the web to be printed perfectly. The purchase of the VP700 model means savings of around 700 EURO, i.e. the cost of an external unwinder. The manufacturer gave up the unnecessary gadget – tablet and hard disk. This allowed to reduce the cost of the device by another 2,000 EURO. Thanks to the use of MemJet technology, it is possible to print at speeds up to 30 cm / s (over 20 HP per day) at full color. In traditional inkjet designs, the print head was mobile: it was printing only a small area when shifting. Time needed to move the printhead, lower the printing speed and enforced the use of additional mechanical components – engine, gears, V-belts, flexible tapes and ink supply lines and linear encoders (allowing the actual position of the head to be read). In MemJet technology, used in the VIPColor VP700, the head is fixed and covers the entire width of the printed material, which allows for a significant increase in printing speed, noise reduction and simplification of the mechanical construction. Moreover, in the described model, the latest generation, powerful engines with increased service life were used. The net cost of a ready-to-use printer (with a head and a set of 5 inks) was set at a level below EUR 6000.00. They can be exchanged individually. The level of ink visible on the printer's display. At your request, we will provide “clean” labels of any size, made of specialist paper or foil absorbing ink and resistant to water and oils. We present the offer on winding / unwinding labels with the printer engine VIPColor VP700 / VP750, which can handle labels up to 240 mm wide, and also roll up or unwind rollers with outside diameter up to 350 mm – approx. 500 running meters (contact us in on the availability of another outside diameter). The rolls are rewound / unrolled on a 3-core handle, the ability to adjust the direction of rotation, clockwise or counterclockwise, allows you to scroll / unroll labels both inward and outward. Thanks to the revolutionary design and durability our (RW) Winders and (RW) Unrollers (UW) are ideal for work requiring a lot of hard work. The motor is inside the core holder and once the task is completed, users can easily remove the core holder. 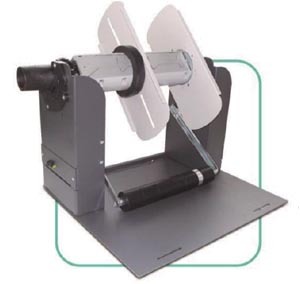 The device can be ordered as a rewinder (RW) or a unwinder (UW) – a different part number, so depending on the application, it can be placed on the front or the back of the printer. VIPColor VP750 – NOVELTY !!! The new VIPColor VP750 printer is the next generation of a digital on-demand printing machine with ink technology with increased water resistance. Based on the proven technology of our best-selling VP700, the VP750 allows printing labels with increased water resistance. Ink technology that results in great-looking colored labels suitable for refrigerated food and beverages, animal care, cleaning products, chemicals, pharmaceutical products and most products exposed to moisture. 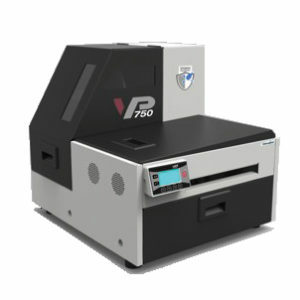 The VP750 combines the performance and reliability of industrial color VP700 label printers compared to other inkjet printers and a longer print head compared to the first generation of Memjet. 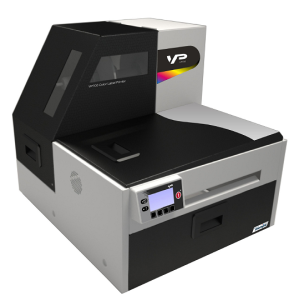 The VP750 provides fast, structured color printing in any printing environment. Finally, we would like to emphasize that the VipColor VP700 is not a discontinued model, but is still available in the VipColor offer, as not everyone needs nearly 100% waterproof labels. The VP750 color label printer is a bit more expensive, and the ink consumption per label is about 20-30% higher than for the VP700 printer. C7500 is irreplaceable in printing colored labels in short series. 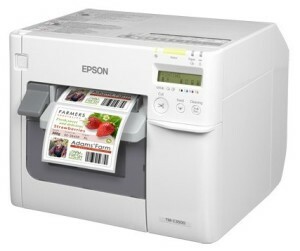 It allows you to print high-quality labels at home inexpensively and quickly. Thanks to the short print options and the creation of individual on-demand projects, the C7500 also eliminates the costs of pre-printing. The C7500 printer allows you to print high-quality, custom-made labels, even at home and on demand. It has been equipped with a modern PrecisionCore print head that ensures the best print quality. Nozzle state (NVT) technology and a needle matrix replacing the blocked nozzle guarantee print accuracy and prevent printing errors or dead pixels. The C7500 industrial printer allows you to print high-quality labels, including food products, mail, or even energy labels and GHS labels. Thanks to the high printing speed (300 mm / s) it is possible to print in color at the same speed as for some thermal monochrome printers. With the C7500 printer, on-demand label printing reduces printing costs associated with the production of unused labels and reduced inventory. In addition, the use of highly efficient single ink cartridges means that only the colors used are exchanged, so the cost per print is lower. The printhead has been designed so that it can work throughout the life of the printer1 without having to be replaced. Thanks to the LCD control panel, the C7500’s printer configuration is as simple as ever. The addition of the ESC / label command enables the printer to be easily integrated into any operating system. The device has a complete software in the set that facilitates the installation and is equipped with the technology of the nozzle condition control (NVT), which facilitates servicing and prevents blocking of nozzles. The TM-C3500 printer introduces excellent color quality and the universality of on-demand work to the segment of labels, tags and tickets. The device is equipped with a high-quality printing mechanism at speeds of up to 103 mm / s and separate cartridges with pigmented inks, so that you can print labels according to your needs without time-consuming and costly outsourcing. 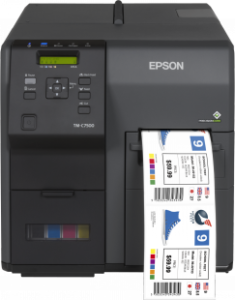 The TM-C3500 printer is easy to set up and print your own colored labels. The device can handle both packaging labels with colorful logos and illustrations, as well as tickets or IDs containing barcodes and important product information. The use of DURABrite Ultra pigment ink cartridges allows you to print fast-drying high-quality labels, resistant to abrasion, water and fading. Labels always look great, and thanks to the high durability pigment ink are useful in very different applications. This versatile color label printer complies with the international GHS guidelines on the content of hazardous substances in the labels. The combination of pigmented inks with a matte polyethylene label carrier ideally suited to difficult conditions, providing precise prints, resistant to smudging and the action of water and most chemicals. The printer can print on many types of materials, including matte and glossy coated papers and film. Thanks to this, you can create exactly the labels you need. The LCD screen shows the amount of ink and the status of the printer, and the ability to operate from the front and simple configuration of the software make the use of the device requires no specialized training.